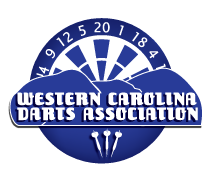 Formed in 1989 by a small group of darters out of Mack Kells, this Asheville based dart league spans most of Western North Carolina. It consists of approximately 120 members, residing as far as Sylva, Old Fort, Marshall and Saluda. Captains Meeting April 8th @ Midway Tavern 7:00p.m. Click here to see the current League Stats. Got something to say about darts or WCDA?